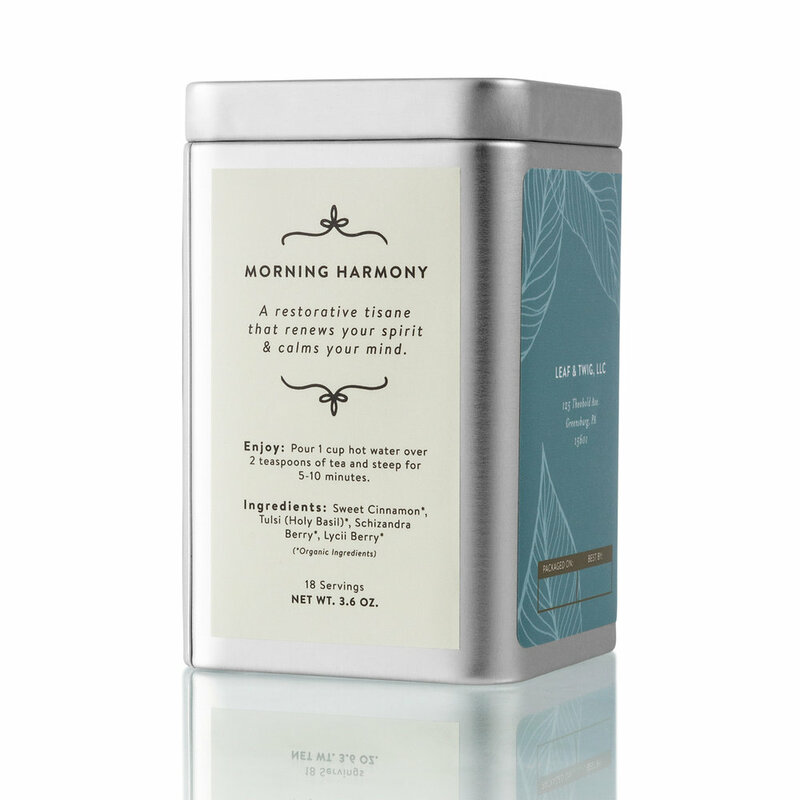 Renew your spirit and calm your mind as you enjoy a cup of Morning Harmony. Transport yourself to a soft morning, light fog diffusing the sunrise as you sit outside enjoying the woods and fields as they glisten with dew. Slow down and savor the sweetness of the berries and the spiciness of the cinnamon as you listen to the birds call to the sun. Allow your body to soften as your mind slows down. Large Tin - $13.50 | 18 Servings | 3.6 oz. NEW! Bulk 1lb. Bag - $40.50 | 63 Servings | 12.6 oz. Feel refreshed & uplifted without the caffeine. Pour 1 cup of hot water over 2 teaspoons of tea and steep for 5-10 minutes. Enjoy! Lycii berry is a sour yet slightly sweet fruit frequently used in Chinese medicine. The lycii brings a brightness to Morning Harmony as you enjoy its nutritive and tonifying qualities. Use Tulsi to support your Central Nervous System and balancing your chakras. This adaptogen helps to lower levels of oxidative stress during chronic stressors. Enjoy Tulsi’s tonifying properties and its layers of flavors. Schizandra Berry is from a vine native to northeast China and in Russia. Its Chinese name translates to “five taste fruit”. Savor the sweet, sour, salty, bitter, and pungent flavors present in each small berry. Support the body’s energy and vitality with this tonifying herb. Sweet Cinnamon for its inviting aroma and taste. Wonderful for calming upset stomachs due to stress in its many forms. 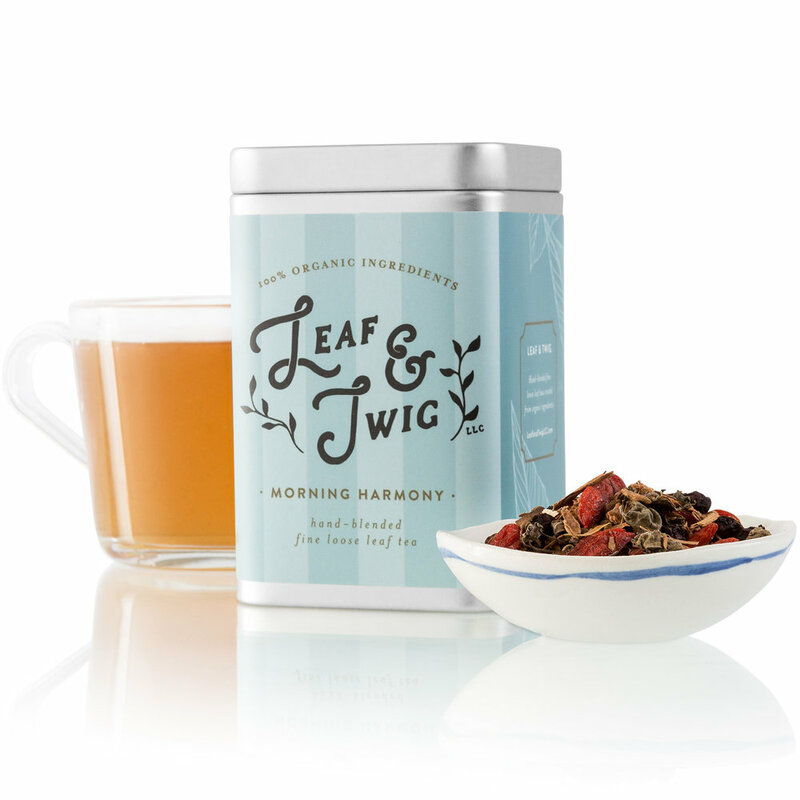 This warming and stimulating herb forms the foundation of Morning Harmony.